SKY meeting came from a challenge launched by AEFMUP, especially from some of my former students. The initial idea was to organize a congress on minimally invasive surgery, but early on the concept of this event became something more comprehensive and transversal, the surgical knowledge for the youth! And that’s how the name SKY – surgical knowledge for youth – came about, which sums up in one single acronym the whole concept of this event. One of our goals is that SKY becomes a space where younger generations are able to learn, for the first time, the knowledge and love about surgery that the older and experienced have. Hence the subtitle of the congress, the future today, from youth irreverence to expert knowledge! In this first edition, we chose as main themes the bariatric and Upper GI surgery, two very current and important topics in our context, given the high incidence of obesity and gastric cancer in our country. Thus, the two surgical specialties targeted in this issue will be General Surgery and Gastroenterology. Since the transmission of knowledge to younger generations is not done if there are no real professors, we will have a named lecture created to honor the greatest Professors of our time, the ones that will be remembered in the future because of the way they truly and passionately gave their lessons and passed their knowledge and experience to their students. This year, the target in this tribute will be Professor Sobrinho Simões, author of the phrase that gave the motto for this session: “To be a Professor… is to be remembered by the future!“. And for this homage, there would be no better speaker than Professor Fátima Carneiro, one of his “disciples”, a world-renowned pathologist who, following in the footsteps of her master, has recently been elected the most influential pathologist in the world. For the presentation and discussion of the themes of this edition, we will have different types of sessions: Keynote Lectures, Plenary Sessions, Workshops and Parallel Sessions. A holistic approach to the themes in question is sought, with a more theoretical and a more practical component, a more formal and a more informal one. In these sessions, participants will have the opportunity to learn about different minimally invasive techniques in the area of ​​obesity and upper GI pathology, with some of the most influential specialists in the national and international scene. For the Keynote Lectures, we will have two international guests, experts in their fields. 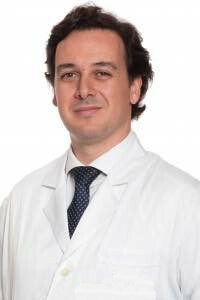 Dr. Eduardo Grecco, gastroenterologist from São Paulo, specialist in bariatric endoscopy, will share his experience and knowledge in the new endoscopic techniques for obesity treatment, namely the endosleeve. From the other side of the world, we will have Dr. Felix Berlth, a German surgeon trained in Cologne and currently working at Seoul National University Hospital with the prestigious Professor Han-Kwang Yang, in one of the world’s largest volume and experience centers in the minimally invasive approach of gastric cancer. On that basis, Dr. Felix Berlth seems to be the ideal person to tell us about the Eastern and Western perspectives of gastric cancer treatment. Thus, with SKY we have the sky as a limit, because with the irreverence of the young allied to the knowledge of the experts, this is what is involved in the surgical treatment, namely in minimally invasive approach, of the most frequent and important pathologies of our everyday life. With the registration opening and completion in just 40 seconds (yes, 250 spots for medical students completed in 40 seconds! ), I have no doubt that this event will be a success. This success, results from the effort and dedication of a wonderful team, the organizing and the scientific committees, composed of students, residents, specialists, unit chiefs, department directors, in short, youth and experts allied in surgical knowledge transmission. So, I just want to wish you all: An excellent congress!